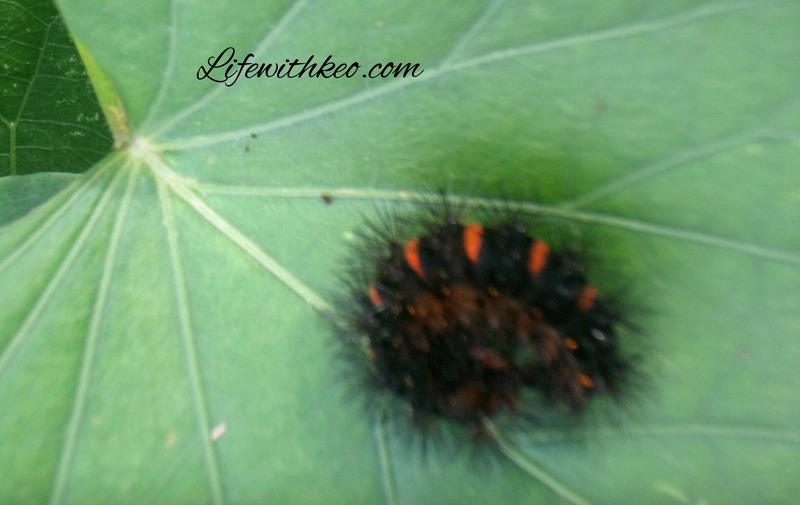 The black and orange one turns out to be a Leopard Moth. I found it on my sweet potato plant. I wish I kept it. It would have been fun to watch it turn into a moth. 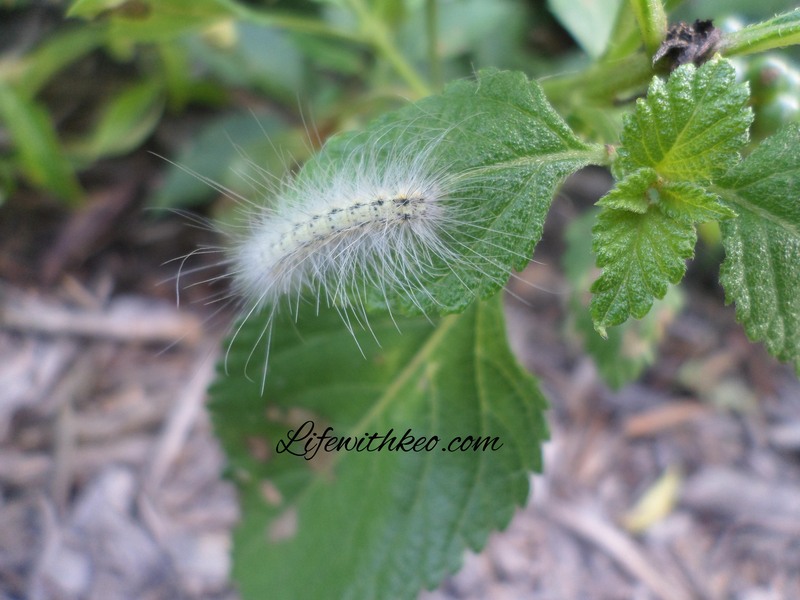 The second one, I believe, is a Hickory Tussock Moth. I found them on my Mulberry and Elderberry. Tomorrow I will try to capture one to watch what moth it truly ends up being. 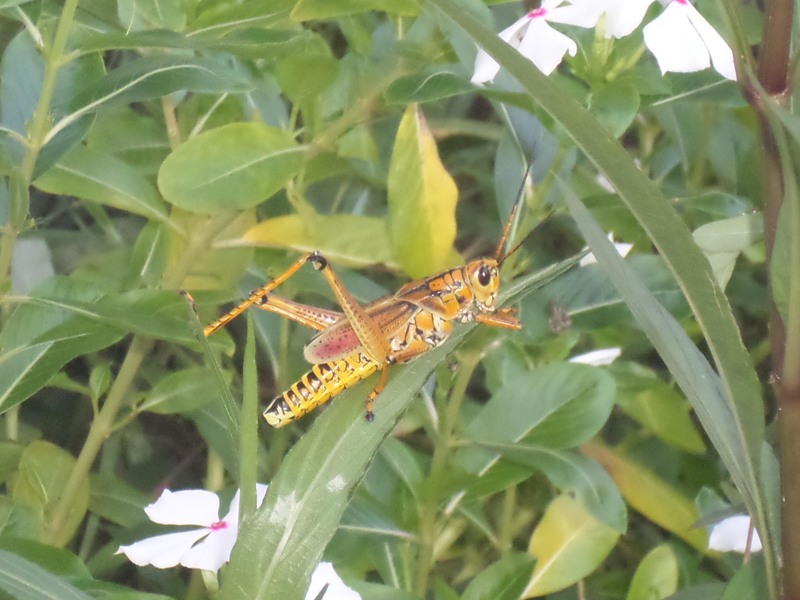 While coming into the house I spotted this huge guy just hanging out. They are so beautiful, I wish they didn’t do so much damage to plants. 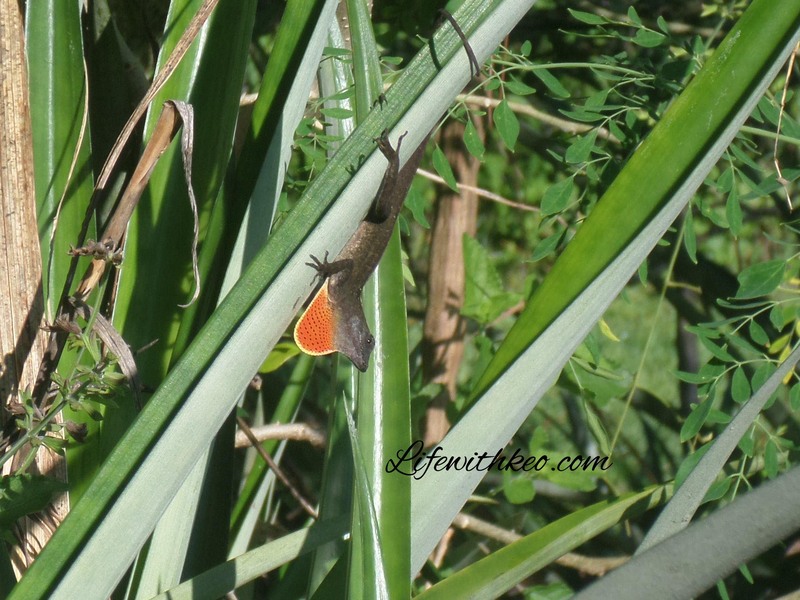 And this is one of the ever-present lizards that my dog loves to chase. I love when the males show their colors for females. 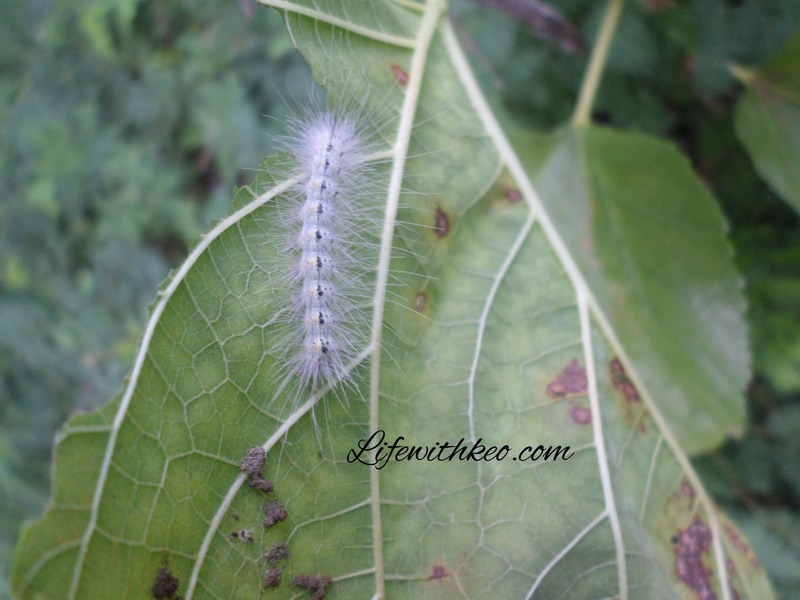 This entry was posted in garden critters, Photography, Posts and tagged Cricket, florida gardening, Hickory Tussock Moth Caterpillar, Leopard Moth Caterpillar, Lizard, photography. Bookmark the permalink.